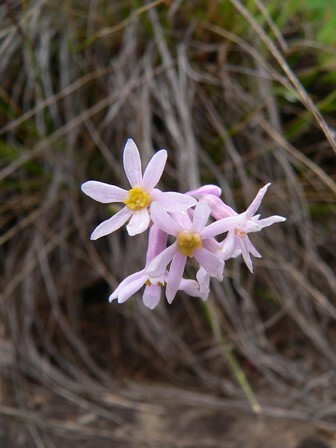 Tulbaghia coddii Vosa & Burb. A highly range-restricted (EOO 272 km²) species that has lost extensive habitat to commercial forestry plantations in the past, but over a period longer than three generations. It is still fairly common, and more than 80% of its remaining grassland habitat is now well protected and it is no longer declining. Mariepskop to Mount Sheba and Graskop. 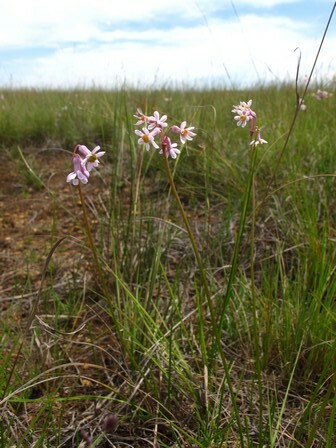 Montane grassland, on damp, shallow soils over sheet rocks or in open grassland. Habitat loss to commercial timber plantations is a severe past threat to this species, with 57% of montane grasslands within its range already transformed to plantations. This threat has however ceased, as plantations are no longer expanding. More than 80% of the remaining grasslands within this narrow endemic's range are now part of an extensive protected area network along the Blyde River Canyon. In spite of extensive habitat loss (over a period of longer than three generations), this species is still fairly common, as indicated by many recent collections. Vosa, C.G. 1975. 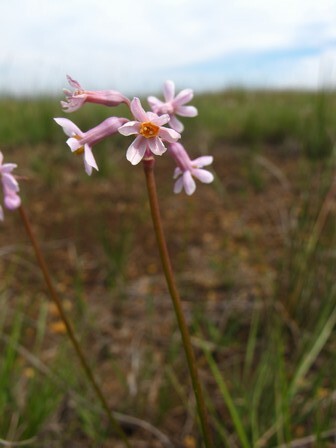 The cytotaxonomy of the genus Tulbaghia. Annali di Botanica 34:104.